Apple has announced that iOS 9 will join watchOS 2 by rolling out to users on September 16. Apple's latest mobile OS packs a whole slew of new stuff to look forward to, including a more intelligent Spotlight search, and predictive, proactive features for Siri. Also coming along in iOS 9 is a brand new News app that pulls in stories from a ton of publishers, a new Notes app, and transit directions for Maps. CarPlay is also going wireless for the first time, while split-screen mode is coming to the iPad. Again, iOS 9 will hit everyone on September 16. 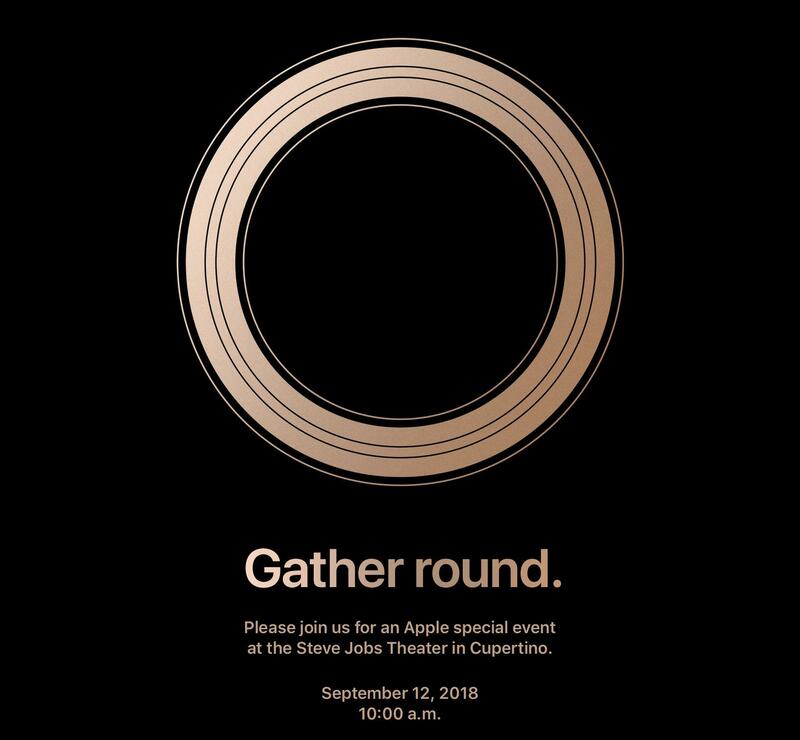 For much more on the iPhone event, keep following along with our liveblog. SAN FRANCISCO — September 9, 2015 — Apple® today announced iOS 9, the world's most advanced mobile operating system, will be available on Wednesday, September 16 as a free update for iPhone®, iPad® and iPod touch® users. iOS 9 makes iOS devices more intelligent and proactive with powerful search and improved Siri® features, all while protecting users' privacy. The way you interact with iPad gets even better with iOS 9, thanks to new multitasking features that let users view and interact with two apps at once, side by side. With Picture-in-Picture, users can play video while browsing the web, composing email or using other apps. Built-in apps become more powerful with a redesigned Notes app offering new ways to capture ideas, detailed transit information in Maps, and an all-new News app for the best news reading experience on any mobile device. "iOS 9 is packed with intelligence that makes every experience with iPhone and iPad even more powerful — Siri can do more than ever and new proactive assistance helps you get more done before you ask, all while protecting users' privacy," said Craig Federighi, Apple's senior vice president of Software Engineering. "With iOS 9 we focused on strengthening the foundation of iOS with a deep focus on quality, and with the help of more than one million users who participated in our first ever public beta program, we're excited to release the best version of iOS yet." In iOS 9, every experience with iPhone gets even better, with new intelligence that works behind the scenes to present the right information at the right time. Proactive assistance presents the most relevant information at a given time of day and suggests actions at that particular moment based on the apps you use frequently and the time of day you use them. Siri features an all-new design, contextual reminders based on time and location, and new ways to search photos and videos. Search queries deliver more relevant results from more categories, including sports scores and schedules, simple math calculations, weather conditions and stock prices. Slide Over lets you simultaneously work in a second app without leaving the one you're in and easily switch between your apps. Split View allows you to view and interact with two apps at the same time, side by side, and resize your view to prioritize one app over another. Picture-in-Picture lets you continue a video or FaceTime® call while using your favorite apps. Typing is faster and easier with an all-new Shortcut Bar that displays convenient editing tools, and new Multi-Touch™ gestures make it even easier to select, edit and move text. The powerful built-in apps on iPhone and iPad are designed for all your essential, everyday tasks. In iOS 9, we're delivering a completely redesigned Notes app, support for transit in Maps, an all-new News app and new capabilities in Apple Pay™. The completely redesigned Notes app includes the ability to draw a quick sketch using your finger, easily create checklists to keep track of your to-dos or snap a photo directly in a note. Important items can be saved directly to the Notes app from other apps and are kept in sync across all your enabled devices with iCloud®. Apple Pay adds support for Discover, merchant rewards programs and participating store-issued credit and debit cards. Shoppers will be able to manage their cards in the new Wallet app. This latest release makes the foundation of iOS even stronger with refinements including battery optimization that provides a typical user with an additional hour of battery life, and a low-power mode to further extend battery life. *** Software updates require less space to install and the Install Later feature can perform updates to your device when it's not in use. Enhanced security features in iOS 9 keep your devices and Apple ID secure by strengthening the passcode that protects your devices and improving two-factor authentication by building it directly into iOS, making it harder for others to gain unauthorized access to your Apple ID. iOS 9 apps and the user interface now take advantage of Metal™ to deliver faster scrolling, smoother animation and better overall performance. iOS 9 will be available beginning Wednesday, September 16 as a free software update for iPhone 4s and later, iPod touch 5th generation and later, iPad 2 and later and iPad mini™ and later. Some features may not be available in all regions or all languages. For more information visit www.apple.com/ios. *Transit information in Maps is available in select major cities, including Baltimore, Berlin, Chicago, London, Mexico City, New York City, Philadelphia, the San Francisco Bay Area, Toronto and Washington D.C., as well as over 300 cities in China, including Beijing, Chengdu and Shanghai. Nearby information is available in the US and China. **News app availability varies by country. ***Battery life depends on usage and settings.